One factor hindering Coop Italia's growth is the reduction of sales space in its hypermarkets. Coop Italia increased its grocery turnover by 0.2% to EUR13.1bn in 2016. This can be compared with Conad’s growth of 1.6% in the same year and the fierce rival’s aim to grow 4.7% annually over the next three years. The latter’s ambition to claim leadership of the Italian grocery market in that period thus appears to be slightly more than empty words. This of course assuming that Coop’s current growth pattern continues and Conad can meet its targets. Among Coop Italia’s major projects during the year was the expansion of its quality private labels. In the next two years Coop is set to launch another 400 private label SKUs and will redesign packaging. 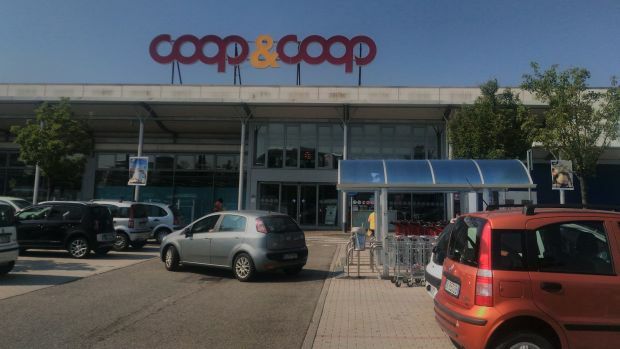 The retailer also launched its new grocery e-commerce platform EasyCoop in Rome and introduced click & collect to several stores in Northern Italy through its new CoopDrive service. Another completely new growth channel to launch this year will be an entry into the pet food business with Coop's own specialized stores. So what are the prospects of Conad actually overtaking Coop Italia in 2019? Some initiatives that are likely to have kept Coop’s growth modest in 2016 are the ongoing conversion of hypermarkets into superstores and price reductions in response to the low consumer confidence in the country. These effects are likely to continue making an impact in the coming years, limiting the retailer’s sales growth per store. However, recent acquisitions (Superconti in 2015) and master franchising deals (AZ in 2017) offsets this somewhat and if the retailer continues its M&A spree it will be difficult for Conad to overtake it anytime soon. Conad plans to invest EUR1.1bn. 2017-2019, most of which will go towards new store openings and this explains its own 4.7% annual growth forecast. Even so, LZ Retailytics predicts an average growth rate for the retailer of around 2.7% over the period. Under these circumstances, according to our forecasts, Conad would be more likely to seize the grocery throne in 2021, assuming that Coop keeps quiet on the M&A front. We should also bear in mind that Coop’s largest cooperative Coop Alleanza 3.0 alone intends to invest some EUR875mn between 2017 and 2019. This means that as far as investments go, all co-operatives together will likely invest just as much as Conad albeit rather focused on refurbishments, assortment and price reductions. The new growth channels of pet food stores and grocery e-commerce could also help keep Conad at bay.